I looked through all of Ryan Holiday's recommendations. I'd read many of these books and didn't find very many that I was curious about. Then I thought of some of my favorite books that I've read this year. I found out about them while wandering the aisles of a bookstore. I learned about Andrew Yang's book The War on Normal People while I was at a Barnes and Noble. I ordered his book and interviewed him about his 2020 Presidential campaign. If I hadn’t been to a bookstore, I wouldn't have known about him. I stumbled on Will Storr's book Selfie: How We Became so Self-Obsessed and What It's doing To Us in a bookstore. I think it's the most important book that I've read in 2018. I'll be interviewing him in a few weeks. If I hadn't been in a bookstore, I likely would never have heard about him. I learned about Ingrid Fetel Lee's book Joyful: The Surprising Power of Ordinary Things to Create Extraordinary Happiness at an airport bookstore. And so, I drove to my local bookstore, and I came back with a list of 10 new books that I wanted to read. It's not a coincidence that Amazon, who turned the book publishing industry upside down, has now started opening retail stores. As much we love getting packages in the mail, it's hard to recreate the experience of wandering the aisles of a store. Websites are optimized for searching not browsing. Following your curiosity is a lot harder when your just clicking images and "seeing" what's inside a book. 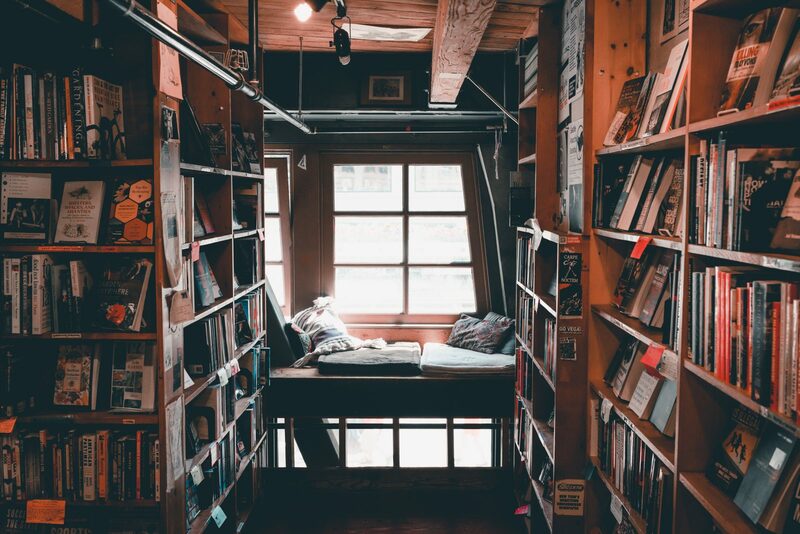 The aisles of a bookstore are a “choose your own adventure journey” into the depths of your curiosity and imagination. As Ryan Holiday wrote, “Good things happen in bookstores." They still matter.